A short animated film that explores the boundlessness of human imagination & the exchange of feelings and ideas. Our imagination flies — we are its shadow on the earth. Welcome to our very first Cinema Surreal! A new reoccurring segment featuring surreal shorts, trailers, animation, and found footage! We really hope that we can expose you to some hidden treasures! 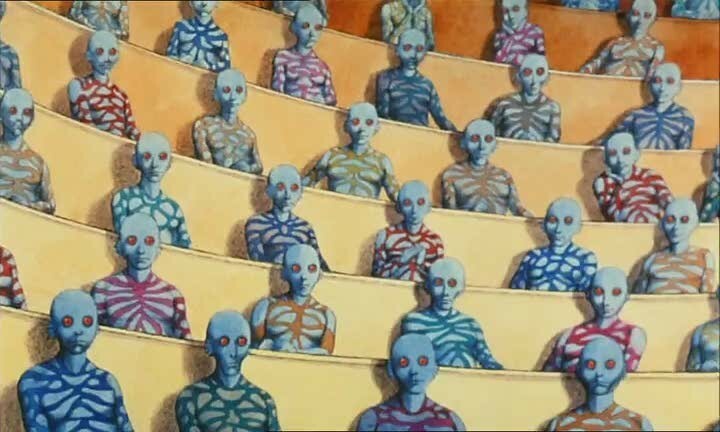 René Laloux’s La Planète Sauvage (its title changed to Fantastic Planet for the U.S. release) paints an animated tale of humans kept as domesticated pets by an alien race of blue humanoid giants called Traags. While the story does not distinguish itself in the annals of science fiction, the imagination invested in the surreal backdrops, with its eerie creatures and landscapes, does. The story takes place on the Traags’ planet Ygam, where we follow our narrator, an Om called Terr, from infancy to adulthood, when he escapes his subjugation and incites a revolt. As a French-Czech coproduction, this story had much resonance for its makers as an allegory of Czechoslovakia’s invasion by Russian troops in the late ’60s, and had to be completed in Paris due to political pressure. The animation technique–moving paper cutouts across backgrounds–contributes to the overall feeling of other-worldliness. 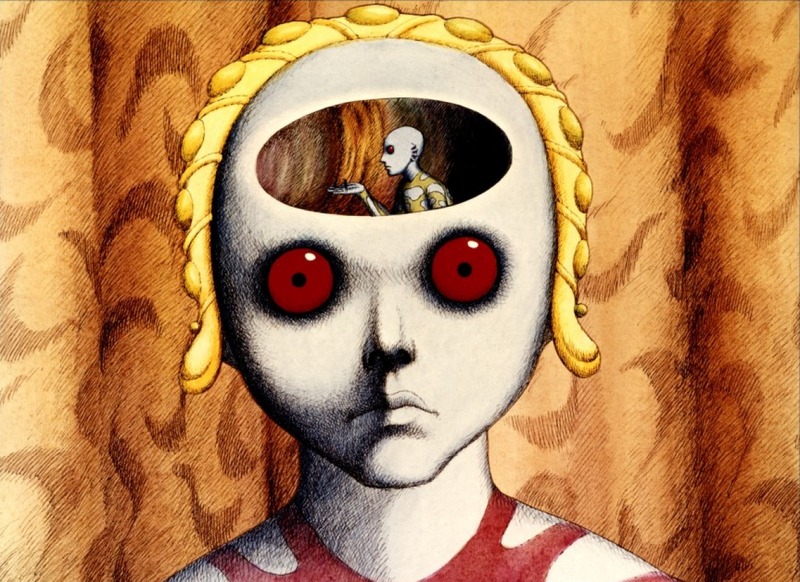 Fantastic Planet won the Grand Prix at the Cannes Film Festival in 1973. In the USA it immediately drew comparisons to Swift’s Gulliver’s Travels and Planet of the Apes (both the 1968 film and Boule’s 1963 novel). 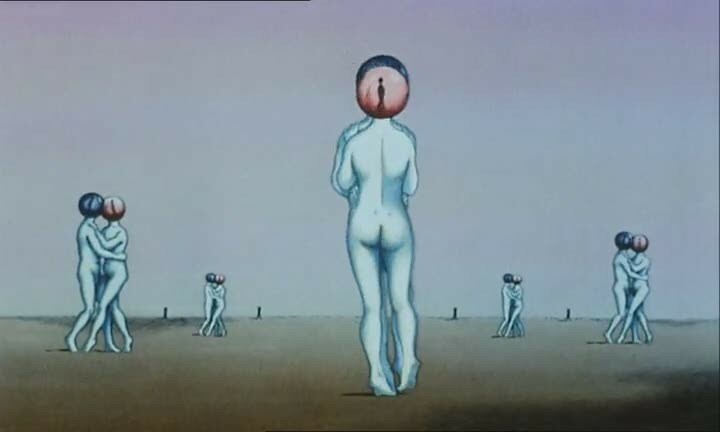 Today, the film can be seen to prefigure much of the work of Hayao Miyazaki at Studio Ghibli (Princess Mononoke, Spirited Away) due to its palpable political and social concerns, cultivated imagination, and memorable animation techniques. Another surrealist piece made in the early 90s starring Ron Lynch, JB Smoove, and Amy Poehler. It is a modern day western set in New York city. I still haven’t decided how I feel about it.